Learn everything you need to know about the Nashville natives. We’ve found the perfect band to spice up your playlists for the end of the year—COIN is here to change everything you ever thought about the typical indie-pop genre. With an exciting 2017 and even more to come, we’re here to enlighten you a little bit about the up-and-coming group from Nashville. Consisting of four members—Chase Lawrence, Ryan Winnen, Joe Memmel and Zachary Dyke—the band formed in 2012 in Nashville, proving that the city is notorious for much more than country music. They rose to success pretty quickly, selling out their first show in 2013 and signing with Colombia Records shortly after. Following the beginning of their record deal with Colombia, COIN released their self-titled debut album in 2015, showcasing a sound that is quite reminiscent of bands like Two Door Cinema Club and Phoenix. The lead single ‘Run’ from the LP was a small, promising taste of the journey the group was about to embark on in the music world. COIN has been making waves more recently due to the fact their popularity is skyrocketing after the release of their second album ‘How Will You Know If You Never Try’ just this past April. Even their music videos show off their likable personalities and quirks. Staying true to their Nashville roots, the band wanted to honor that in their video for track ‘I Don’t Wanna Dance’. “We focused on the juxtaposition of the New Nashville with that older, grungy/country Nashville. We wanted to shoot whimsical and intentionally awkward scenes in locations that showcase Nashville’s history, but also exemplify the rising tourism we see on a daily basis,” said drummer, Ryan Winnen. ‘Talk Too Much’ is another fun dance track from the album, with an enthusiastic video to accompany it. With vibrant colors and a unique take on the usual music video vibe, it gives us a great look at what kind of image the band wants to put forth—lighthearted enjoyment of music that’s fun to listen to. Currently on tour in the U.S., COIN has been stopping all over the country playing their music for their very dedicated fanbase—from San Bernardino, CA all the way back to their hometown of Nashville. ‪HWYKIYNT PART 2 — FALL 2017‬ ‪ALL DATES ON SALE NOW. 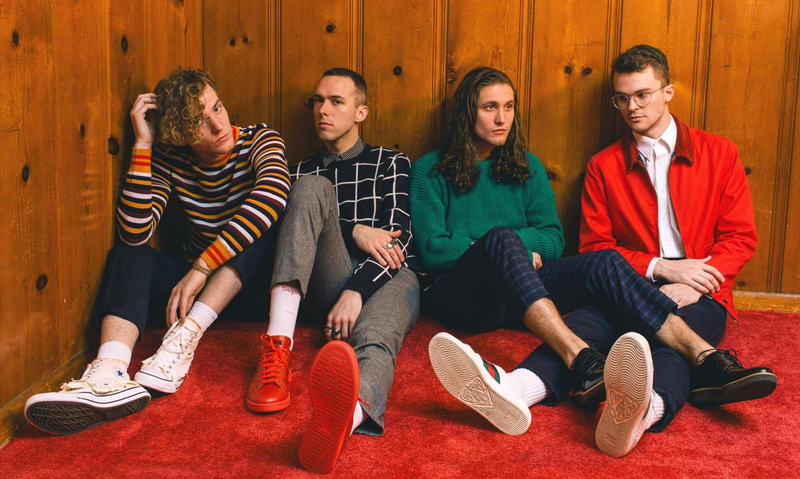 We’re bombarded daily with all kinds of bands with heaping amounts of talent to possibly top the charts of the indie-pop genre, but COIN seems to take the cake when it comes to being one of the groups with the most potential. Their fanbase is growing daily, and the buzz around them continues to get bigger, making it even more probable that they’ll become one of the more successful bands in the near future—and we can’t wait for it. Follow COIN on Twitter, Instagram and Facebook. Listen to their album ‘How Will You Know If You Never Try’ here.